National Chairman of the Peoples Democratic Party, PDP, Prince Uche Secondus has revealed why the former President Olusegun Obasanjo endorsed Atiku Abubakar despite their differences. 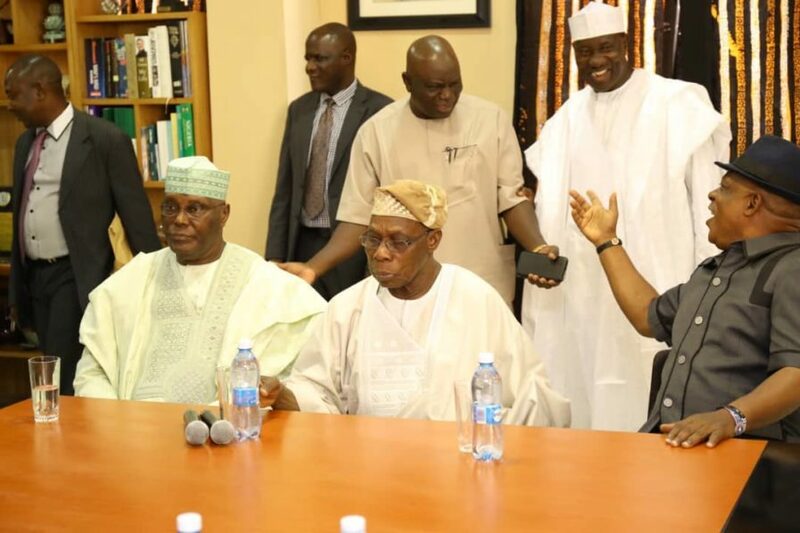 Obasanjo had during a meeting with Atiku endorsed Atiku’s presidential ambition, declaring that he will defeat the incumbent President, Muhammadu Buhari of the All Progressives Congress (APC) in 2019. Secondus, who was present at the meeting with Obasanjo at his Abeokuta residence, asked Nigerians to reject Buhari in 2019. Speaking after the meeting, he stated that Obasanjo accepted Atiku owing to the limited ability of President Buhari and the APC administration. He said, “There’s no better person that can score President Buhari than (former) President Obasanjo. “Then, there is also no better person that can compare Atiku and Buhari than Obasanjo. Obasanjo was Buhari’s boss. “The former President was also the boss of Atiku. He asked Nigerians to vote Buhari in 2015. Now he has seen the limited ability of the President and he’s now asking Nigerians to follow Atiku Abubakar in 2019.